Hmm, this is a pretty good chart and is meaningful to me. Earlier this year I think I got somewhere between "exhaustion" and "burnout" which was not pleasant, but seeming better now. 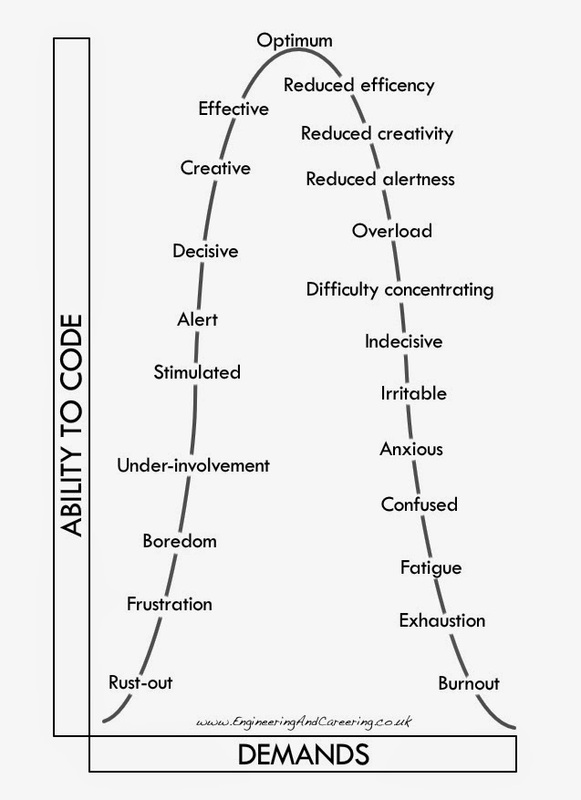 I think I'm still somewhere in the "difficulty concentrating" to "confused" region. I think the question that's generally not adequately addressed is whether it's good to be optimum at delivering on moderate demands, or sub-optimal at delivering on much more difficult demands.